Five years after their last release, mega-popular art rockers Radiohead are back with a new experimental album, A Moon Shaped Pool. The album was released last month as an electronic download, and this Friday, June 17, the band is releasing the physical LP and CD copies of the record with a globe-spanning listening party at independent record stores everywhere. In the North Bay, two stores are so far listed as hosting the day-long “Live From A Moon Shaped Pool” streaming event, meaning fans of the British icons can hear the new album, get involved in mysterious competitions and get a look at exclusive artwork at The Last Record Store in Santa Rosa and Bedrock Music & Video in San Rafael. Both locations are listed in the official announcement website from the band, and you can find more details and locations here. 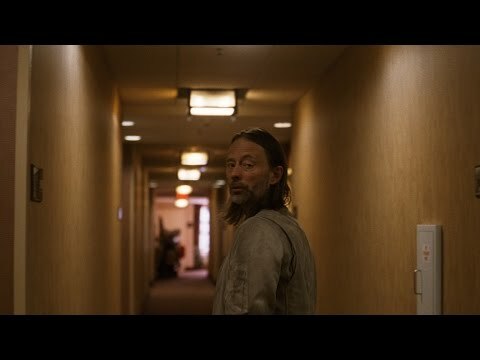 Musically, A Moon Shaped Pool continues Radiohead’s trajectory of blending both electronic and acoustic elements into one unique wall of sound fronted by Thom Yorke’s falsettos and backed by hypnotic off-tempos. Get a preview here and watch the music video for “Daydreaming,” directed by Paul Thomas Anderson.